A solitary figure has rocked up on the shore at Margate to gaze out to sea. Like a postmodern Tin Man looking for his heart, the figure is one of 100 sculptures from Antony Gormley’s Another Time series, and is cast from his own body. 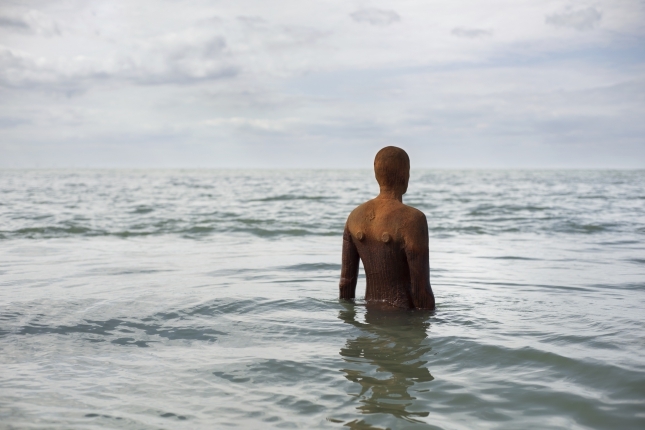 Gormley has created the piece to, “celebrate the still and silent nature of sculpture”. It is, “designed to be placed within the flow of lived time’. A few weeks ago we packed our bags to travel to Margate, take in a brief stop with friends at Herne Bay and then return home via Dungeness. As road trips go, it’s not one of the longest. But after an almost coast-to-coast five-hour drive from the West Country across to this eastern tip, it felt pretty epic. First, Margate. A seaside town of dreams, Dreamland, JMW Turner and Tracey Emin. On our first evening it offered brilliant sunshine and winding, shadowy streets in the old town. A place of contrasts, we found broken glass on the beach next to the children’s merry-go-round while the outline of the revived 1920s Dreamland funfair drew itself against the brutalist architecture of 1960s high-rise, Arlington House. At first I felt disoriented and unnerved. I hadn’t expected so many surprises, quite so many rough edges. But spend a couple of days, and a more comfortable familiarity starts to creep in. Walking back towards our Airbnb flat each day we meandered through Cliftonville, pausing at the glinting windows of the Haeckels apothecary and Roost restaurant, and past the crumbling remains of the Lido. Up Ethelbert Road, across proper busy Northdown, with its mix of voices, accents, vintage stores, high street chains, The Grain Grocer (health food shop) and Cliffs (café, yoga studio, record store), then down the hill to Victorian folly, The Shell Grotto. Go past J. Cosmo, a beautiful purveyor of vintage clothing and French workwear, and into town proper, and you find the shell of a still-to-be filled Woolworths, plus the shadowy remains of Primark signage over another hollow space. If Primarni can’t cut it here should we be worried, or grateful? 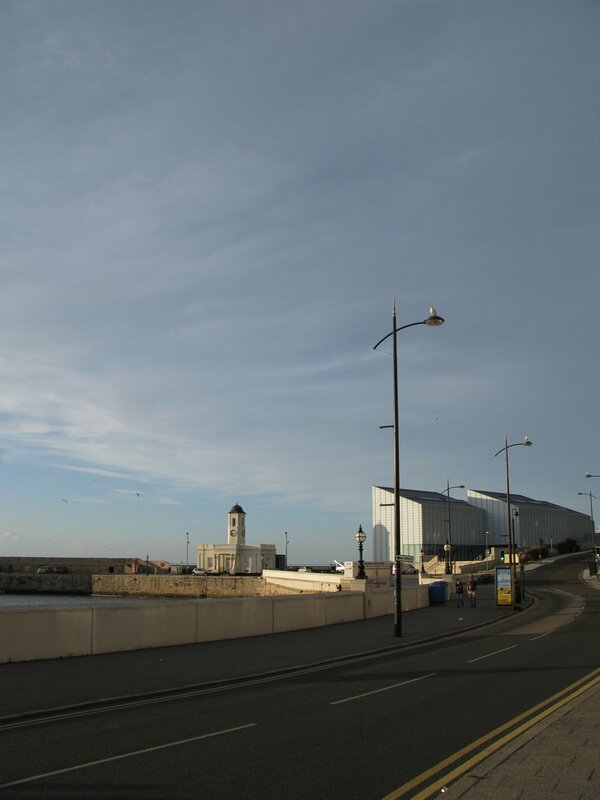 Margate hasn’t been gentrified – nor totally modernised. It remains the defiant, punk older sister to its well-behaved sibling down the road, Broadstairs (Broadstairs does genteel, I have been reliably informed). It is not static, preserved in aspic, neither is it entirely out to please. It seems to be discovering an intriguing character all of its own, one that is unafraid to do art and food and clothes yet is also unafraid to stay urban and indefinable. It crops up in fashion shoots, on social media (Ghostpoet the musician recently confirmed he is setting up his own internet radio station and spent his first few months living in Margate in a state of bliss). You get the sense that while not all of the Shoreditch by the Sea investment may filter down to those in the community who really need it, this is a place carving its own niche and getting into its flow. 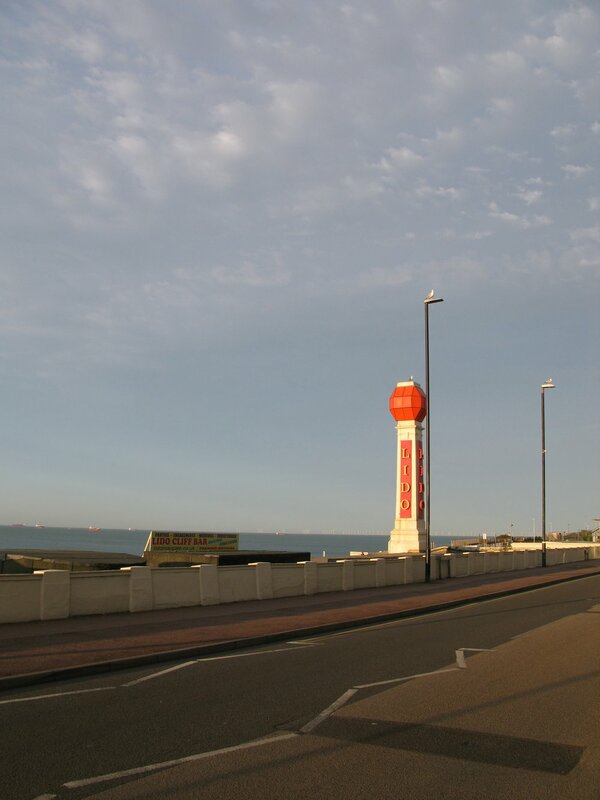 What Margate does is, it draws people to it (and back to it) who love it. (Turner of course returned time and time again, and today the Turner Contemporary gallery sits on the spot where he lodged, lived and loved with his landlady, Mrs Booth.) People talk. Word on the street is that a Russian investor wants to buy the Lido and turn it into an aquarium. We got pulled into teeny High Street pub Fez in broad daylight to admire its freshly mopped, bleach-scented floors, cask-beer menu and walls packed with eccentric décor, while the owner’s friend told us its story (and his) and how the place buzzes each Tuesday night with a ukulele-fuelled sing-song. We spotted Dom Bridges of Haeckels cycling along the esplanade. A wondrous Margate success story, Haeckels, with its Made in Margate philosophy has literally bottled the essence of Margate and sold it, carefully and lovingly hand-harvesting seaweed along the coastline to preserve its heritage, distilling fine botanicals into skincare and Thalassotherapy treatments in its clifftop Lab. The man running the beach merry-go-round chatted, rubbing his hands in anticipation of his busiest weekend of the year when multiple coaches drop off families from south London for their traditional day out at the seaside, arriving at 10am then packing up their buckets and spades to return home at sunset. He spoke of DFLs (Down From Londons), of Kent fruitpickers who flock to the coast over the summer, about his wife who commutes to Farringdon twice a week on the high-speed London link, and his friend, a Margate native who has returned from the capital to set up home and work in a handsome house overlooking the harbour. Even Tracey Emin, the town’s famous daughter, plans a homecoming to show her work at the new Carl Freedman Gallery, due to open in the old Thanet Press building. As we all know, anecdotally, where the artists go, others tend to follow. Not just the Emins and the Turners. A steady stream of London-based artists and creative workers have been drawn to this part of the coast, stifled and frustrated by the expense, and lack of living and studio space in the capital. They move to seek out the quality of light, and the quality of life. This is what is helping breathe a new energy into this town. And what of Dungeness? I expected so much less. Following our swooping drive past Dover docks and over those majestic white cliffs, I expected desert. We found a destination. 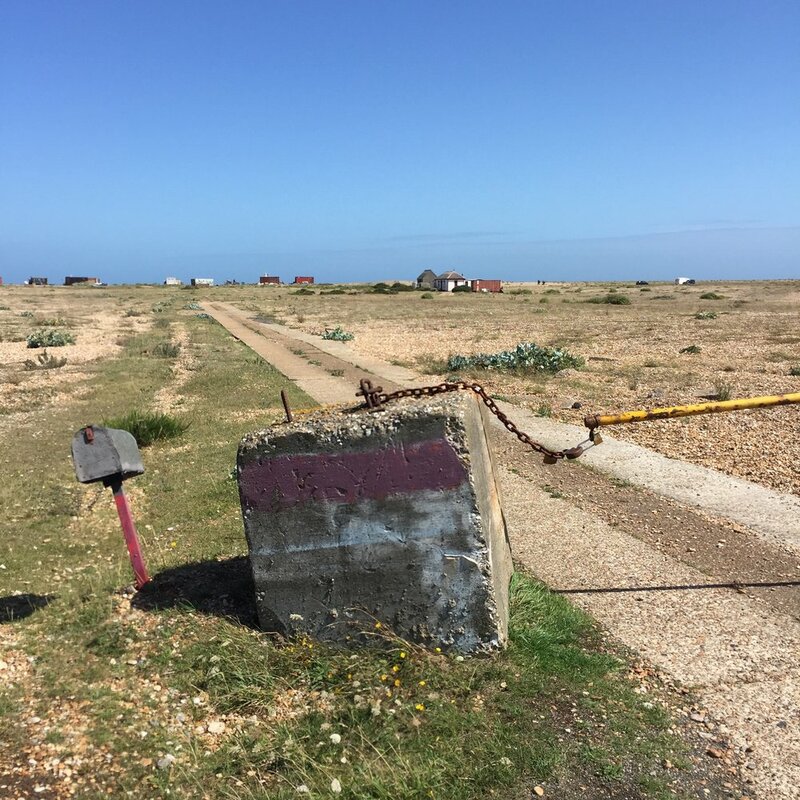 Dungeness has lighthouses, old fishermen’s shacks, contemporary dwellings, an active nuclear power station – and a mini-railway. People come here to stay, eat, work, live and Instagram. Derek Jarman’s Prospect Cottage sits prim and beautiful, windows like eyes modestly lowered against the incessant wild wind and camera lenses, the unique garden as kempt as ever. Energy here – in all its guises – is truly extraordinary. Gormley has placed his form on this coast to be still, to observe. Another time, we will return to survey the changes. This is a place that moves, a place of perpetual motion. A point at the edge of the world where people come, go, move, move on. We need to keep up. See more of Tracey Emin's work on Artsy. 2017 © Words & Images Debra O’Sullivan/Where The One Is (Except Another Time XXI).